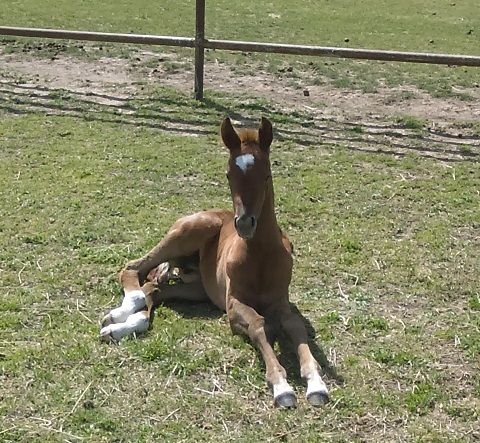 I finally had a chance to visit the barn’s new baby horse over the weekend. He’s so cute I can’t even stand it. Bébé doesn’t have a name yet; he’s just referred to as “the baby”. 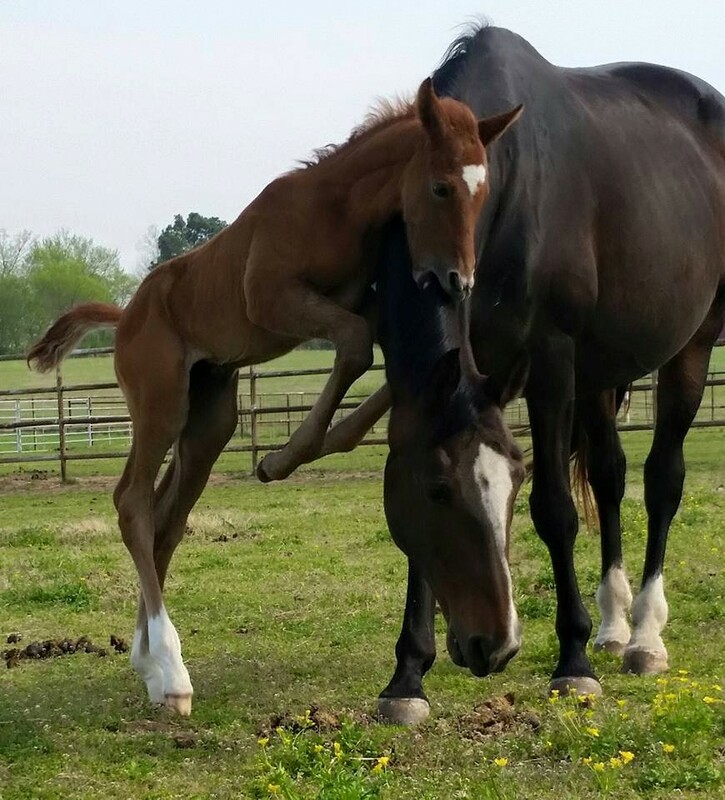 He was born just over a week ago but totally has this horsing thing figured out. He walks, trots, plays, mouths at grass, and ignores his legions of visitors. Mama Gia is quiet and tolerant of both her baby’s antics and the ogling people. Definitely a grown up horse who can eat grass. Bébé is half Arabian and half Oldenburg. Gia is an imported Oldenburg- I don’t know a thing about her bloodlines, but she’s a tank of a mare! She’s not monstrously tall (maybe 16.2 or 16.3 hands), but she’s stout with good bone, good hooves, and a huge engine. 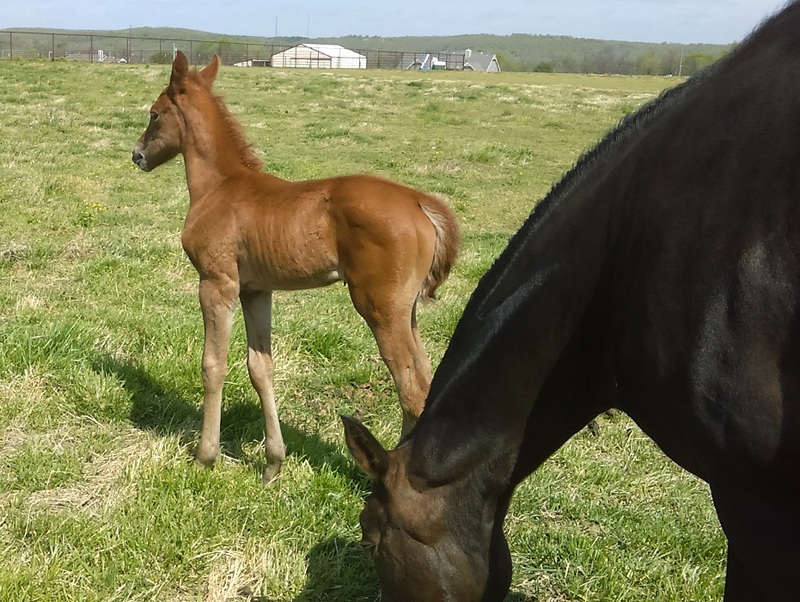 She’s an easygoing creature with lots of experience as a broodmare. 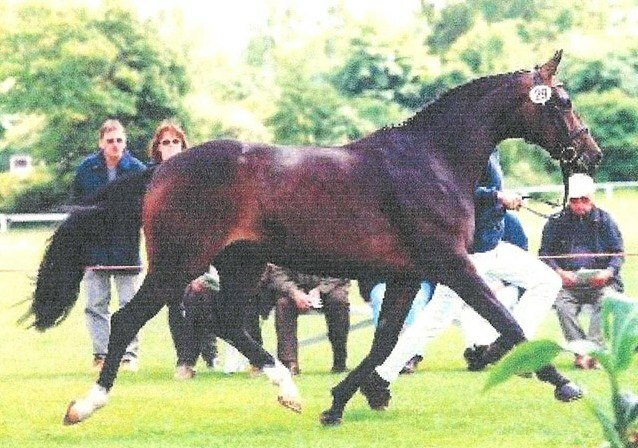 Bébé’s sire is this handsome Arabian, who was gelded shortly after getting Gia in foal. He’s a sweet tempered horse with delicate features. He’s about 15 hands tall and a very fancy mover. I can’t wait to see how this colt turns out- I really think he’ll be a nice horse! The Arabian influence should lighten up Gia’s heavy frame and hopefully he’ll be a good moving, pleasant-tempered horse. For now though, his only job is to nap in the sun and look as cute as possible. There are several like that- he’s crashing around and climbing all over Gia, who just ignores him and continues to graze unperturbed. I love her. 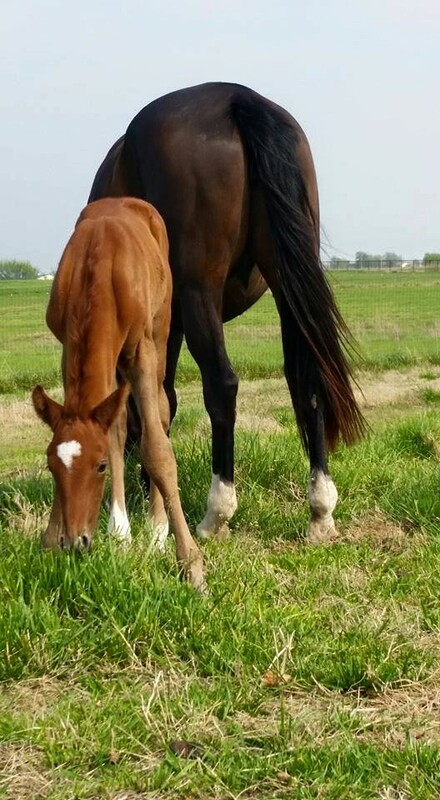 My initial reaction was “Um, what?” when barn owner told me she’d bred this mare to an Arabian, but after thinking about it, I think it was a great choice! Looks like he’s already a pro at his job of being adorbs! 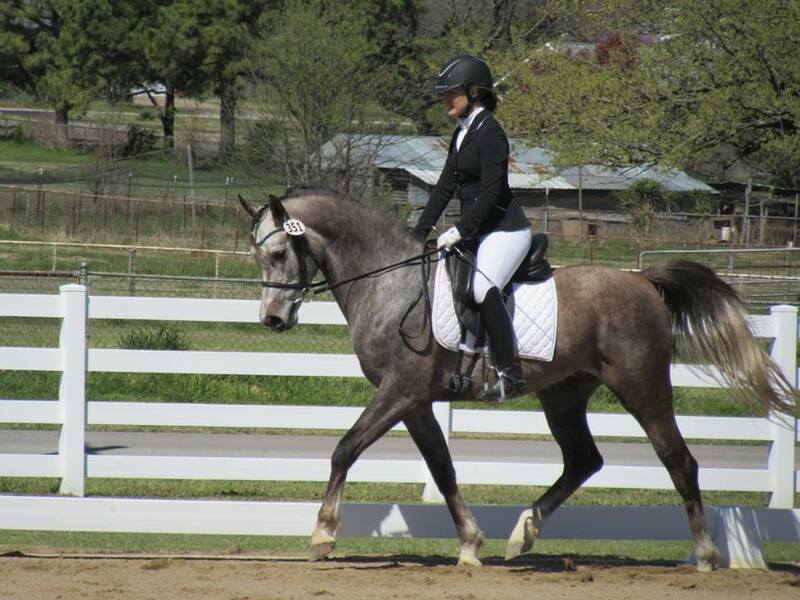 A friend of mine bought a Trak/Arab cross two years ago, and he is just the fanciest thing! He also has that super sweet Arab temperament, making him a cuddle bug. Smart bugger, though! Bebe!!!!!! We will have one soon too so very excited!! Keep up the cute pictures please! Omg that attack picture tho!! You will definitely need to keep us posted on his growth!! Omg that first picture. Actually all of them. Sooooo cute!!!! He’s the cutest ever! I have a friend that shows on the arab circle. 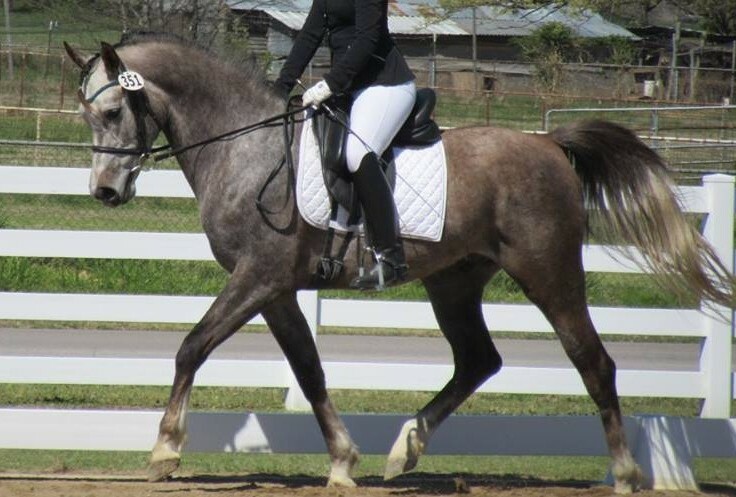 Through her I learned that they love to cross with warmbloods and they are allowed to show as half arabs on that circuit. Who knew? What a cutie this guy is! Thanks for sharing pictures, I can’t wait for more!